Florida Survival Gardening: Florida Survival Gardening Celebrates Its Two-Year Anniversary!!! Can you believe it? Florida Survival Gardening is celebrating its two-year anniversary! 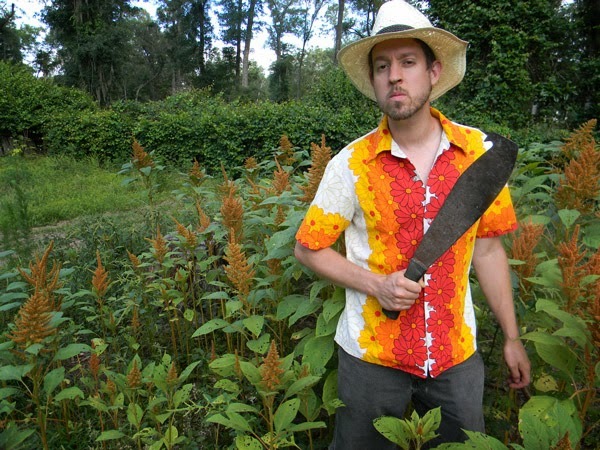 What a great day to stand outside with a machete in the amaranth patch and look really serious! I've now posted every weekday for two years on this blog. Sometimes more. There's a reason for that. One of the things I always hated about blogs was their variable output. Sometimes you'll discover a cool homesteading blog and start following it... and then you won't see a post for a month... or two... or a year... and you think, "Guess that thing is dead... too bad" - and you never visit again. When I started this site back in 2012, it was an attempt to do something I'd never done: stick to a long-term project and make it big. To create a site that would actually give real advice and help for Florida gardeners wishing to grow their own food. Right now, as you can see, we've about closed in on 500,000 all-time pageviews. The drop-off in the middle of August is just the weird way Blogger draws its graph - that's up near 40,000 at this point. I should've taken another screen capture, but hey... I'm busy! Anyhow, enough about the stats. Let's talk about this year's progress. Thus far, I've created over 700 posts and 22 Survival Plant Profiles. I've also posted roughly 150 articles over at The Prepper Project, plus created a really good survival gardening audiobook. Since starting this site, we've also meticulously tracked our harvests in the garden so you can see what's possible in a small space. (The weight of the produce harvested thus far this year is now over 350lbs - not as good as last year thanks to the high level of writing work I undertook... plus we had a baby). Last year we also had access to a wonderful field plot which we used for corn, beans and cassava. Unfortunately we had a major falling out with the landowner and can no longer use that space. Hopefully I'll secure another spot in the future for my irrigation-free field crop experiments and tool testing. Additionally this year, I posted about a dozen videos, including a few amazing "Crash Gardening" episodes. (I hired the very talented Jeff Greene to have those produced. He gives me an unbelievable deal on the filming and editing, but I'm really busy so the production schedule keeps getting bumped). To celebrate this year of success, I'm going to fill the next two weeks by re-publishing some of my favorite posts from the last year. Many of my new readers may not have seen them. I truly appreciate you all for joining me here. I love that I can post an unknown flower and have you guys ID it for me... or talk about chickens and get suggestions on flock management... or share my experiences and in turn hear yours. God bless you and your gardening efforts this fall. Thank you for making Florida Survival Gardening a success. Count me as a almost daily reader. Sometimes I do like to wait a while before checking in so I will have more to read at one time. I am an author of one of those 'variable' output blogs you mentioned. 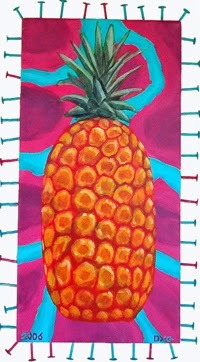 I find my blog is like my own gardening interest. Sometimes I am full-bore, gung-ho and other times (like the past few months) I don't want to spend the time or money on my plot. Thus, I admire your dedication, but more importantly your quality. Ps) the peach-pit-in-a-dirt-bag-in-the-fridge thing worked. I must admit I was skeptical. I don't read daily but do check in from time to time. Congrats on your two year anniversary. It's funny... the more I've written, the more I've wanted to write. It seems the potential for gardening experimentation is almost endless. Glad the peach pits sprouted. I was also amazed the first time I did it. I'd plant the pits in pots now, put them someplace somewhat sheltered during the winter, then plant them out in the spring. Or heck... just stick a couple in the ground. I'll bet they live. Hehhehheh. If I ever get grumpy and/or too ranty, shoot me. Thank you, Carole. You have a wonderful site yourself. Congratulations, David. 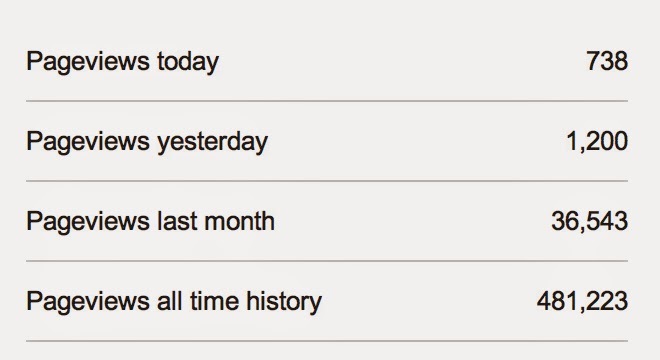 That's quite an accomplishment to blog every week day for two years and garner such a readership. You have a great blog. Here's wishing you many more years and readers.